Crane drum lifting made safe and easy. 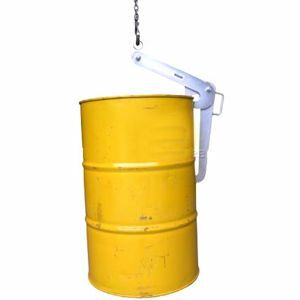 The drum lifter simply attaches to the rim of any standard 205 litre steel drum the unique beak grab instantly grabs the rim of the drum when lifted by crane or hoist. This Lifter is ONLY suitable for lifting steel drums designed with a standard top and bottom rim. If in doubt please ask.